I didn't say that Harry is like Voldemort or Bellatrix nor do I believe it. What I was objecting to is the fact that Harry quotes Bellatrix after casting the curse, saying that he now understand what she meant about having to mean it and all that. This is rather insensitive considering the fact that Hermione had suffered at the hands of Bellatrix only a few days before. Not to mention the use of the curse itself. Harry has in the past tried to use the Cruciatus curse but it was only when people he loved were murdered. That is different from using the curse because someone spit on a teacher. Harry knows how terrible the curse is. He's been subjected to it himself, he (sort of) witnessed one of his best friends being subjected to it and knows that Neville is an orphan because of that curse. Yet he uses it rather lightly. When one is in the grip of a passionate rage, one is not bothered about being 'insensitive'. Harry's reaction is psychologically convincing: he simply wants to take revenge on a Death Eater on, yes, a pretty thin pretext, because of all the abuse that has been flung at him and his friends by Death Eaters. In many ways I understand his rage. But that doesn't, of course, make Harry right. This is a classic example of a character choosing something that is easy rather than right: a major theme in the series, and here we have Harry himself deliberately reversing that moral code. But what bothers me is not that JKR has her hero using the Torture Curse -- as wrong as that is, 'good' people often do wrong things. What bothers me is that it seems to be OK to use the Torture Curse if one happens to be the Gryffindor hero of the series. He should have incapacitated Carrow, who was about to call Voldemort down on their heads and not only put Harry's life at risk but the lives of many others. But to torture an enemy? - shouldn't Harry should be better than that, as the hero? As I've said before, I like to imagine that post-battle Harry regretted his cheap and easy decision to give into a furious desire for revenge. But I'm not so much disappointed in Harry for failing, as disappointed in the narrative, which gives no indication that we are supposed to disapprove of his actions. Harry does seem like quite an angry person on occasion. I find this psychologically convincing, given his abusive background. It makes him human, and believable, not the super-hero his world seems to believe that he is. It occurs to me that there is a huge disconnect between how the Wizarding World perceives Harry and what Harry really is. Harry himself, for most of the series, is painfully aware of this disconnect. He tends to resent the ridiculous hero-worship directed towards him: it puts him on an impossible pedestal which he is supposed to live up to. Who wouldn't resent this kind of absurd pressure? And of course this doesn't prevent his world viciously turning on him, as we see in OotP. Do not bother me that Harry uses the Cruciatus Curse, but is the reason that is absurd and wrong. He not used it when Sirius was killed (and for me it would be a valid reason, Harry was shocked and a life had been broken. A life. It’s very important), but he used to a spit to a professor... (what is more important for Harry? His godfather’s life or his professor? Well... if his reaction is the answer... Harry don’t care much about of his godfather... but I already knew...) Harry’s anger is not an excuse, because so Harry seems a person that if gets angry becomes dangerous and evil... Also, he uses the cruciatus curse to a spit and not uses it, a few pages later, for Hermione who is almost killed by an AK of Crabbe, and I don’t disapprove this because I cared about Hermione, after reading DH and especially Kreacher’s tale, I can’t stand her, and I put her on the same level of another character that disturbs me , but this made me think that Harry in DH does not seems to be able to make the right decisions, he hardly knows how to distinguish between good and evil... and for me that Harry is one of the favorite characters... well DH has ruined the character for me. Unforgiven curses are so called because its users is not forgiven, so does not mean that if a good person uses them for a good purpose these curses become good. These curses should not to be used. There is no excuses or justifications. What Professor McGonagall says is nonsense “Potter, I—that was very—very gallant of you— " . 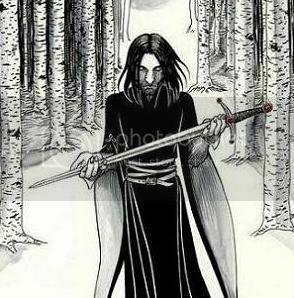 (DH – chapter 30 “The Sacking of Severus Snape”) These curses do not become good because a good person used them, otherwise they would be simple spells that can be good or bad depending on how a person uses them. Last edited by Verena; July 26th, 2012 at 1:15 pm. As a point of fact, Harry *did* use the Cruciatus curse on Bellatrix in his rage after the death of Sirius; the curse did not hold to it's full effect, but he used it. He also attempted to use it on Snape when he fled the school after killing Dumbledore. Harry did cast a weak cruciatus at Bella when Sirius died, earning her ridicule and the remark that one had to mean it for the unforgivable to be effective. I was also under the impression that Harry cared a great deal for his godfather. Yes I know. But the important and fundamental difference is that he uses it with successfully for a spit, but not for a death. Well, it's a slippery road, reacting in anger ... which has been shown at other parts of the story. It is my hope that Harry actually learned to realise how slippery it actually is. I understand it as well but doing something because you are angry doesn't make it okay (not that you're saying it does). When Harry used the curse in OotP is was understandable, when he used it in HBP it was a rather awkward moment but again understandable. The fact that he is still using it after seeing what it did to Hermione in DH is rather strange especially since he is using it for a petty reason (Amycus spitting on a teacher Harry wasn't even that fond of). I agree with you and I think this is what I am also arguing but from a different angle. When it comes to narrative purposes it didn't do anything for me because I already knew Harry wasn't a saint and I also thought it seemed out of character for him to once again use that curse and to say what he said afterwards. McGonagall, who is supposed to be fair, very nearly praises him for it. Not even Luna has anything to say about it. I see what you are saying and yes, there is a discrepancy between how Harry views himself and how the world views him. But when it comes to morals I think he views himself and also wants to be viewed in a better way than he is. He resents all suggestions that he has anything in common with Voldemort, doesn't want to be a Slytherin, is appalled that people believe he released the Basilisk in the school and that he is lying about Voldemort's return. I've always viewed him as someone who isn't a saint but who is moral, with decent values and who rejects the dark arts or any similarities he might share with Voldemort. So keeping this in mind, the most reasonable thing for him to do would be to also reject the Cruciatus curse. Yet he not only casts it once but attempts to do so on two other occasions as well. That's not a normal reaction in anger, IMO, because it seems that the first thing on his mind when someone does something hurtful is use an Unforgivable curse to torture that person despite knowing what a terrible curse it is and what damage it can cause. But when it comes to morals I think he views himself and also wants to be viewed in a better way than he is. . I can't believe I am actually defending Harry here but imo it's exactly part of his own moral journey that brings him from seeing things in a binary "black-and-white" way to actually realising later that because people sometimes do "bad" things, it doesn't necessarily make them bad people. Sometimes one just does make unwarranted, bad judgement calls. And it's always easier (imo) to forgive this once one has had some first hand experience of such bad judgement calls. McGonagall, who is supposed to be fair, very nearly praises him for it. Not even Luna has anything to say about it. McGonagall's reaction I find personally much more questionable than Harry's bad call with the Cruciatus curse. Calling an Unforgiveble in any way "gallant" is more than a stretch. One might argue that it's just a bad judgement call for her, but unlike Harry's own journey from a simplistic black/white view of the world, it just seems to conform to the prevalent pro-Gryffindor bias in the books. The fact that he is still using it after seeing what it did to Hermione in DH is rather strange especially since he is using it for a petty reason (Amycus spitting on a teacher Harry wasn't even that fond of). There are two points in this part of your post with which I disagree. The first, is that the torture of Hermione in DH would make Harry less likely to use the curse. On the contrary, I think his personal experiences with it, and those of his friends, would have made him more likely to use it, especially against those who would use it against him. Carrow is as Harry knows a Death Eater like those who tortured Hermione, and aside from his association with such people, Harry also knows, having just heard Neville recount the events of the past year at Hogwarts, that Carrow personally has tortured Harry's friends. He may also recall that Amycus was trying to use this very spell on Ginny, a year ago at the end of HBP. 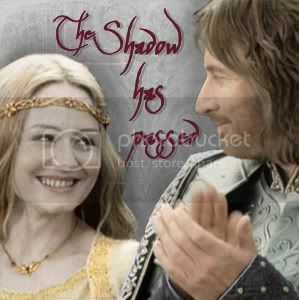 Harry has been standing quietly under the cloak as Minerva and Amycus entered the room. So why does he feel "the blood thundering through his brain"? In my opinion, this is an indication that he is consumed by fury in this moment, in an emotional state so heightened it is having strong physiological effect on him. What happened the moment before is Amycus spitting on Minerva, but I don't for a moment think Harry's emotions went from zero to through the roof in that short moment, I think they had been building throughout the scene. As Harry listens, he hears Amycus casually ponder the use of this same Cruciatus Curse on all of the Ravenclaw students sleeping above to find out what happened to Alecto. He then plots to convince Voldemort that a random couple of those students forced Alecto to touch her Mark so that he would vent his anger on them rather than on Alecto. He then not only spits on Minerva, but threatens her in an attempt to coerce her into going along with his plans. To me it seems clear Harry's anger had been building throughout the scene (even though this is not explicitly called out in the narration) and Amycus's insult and threat were the last straw that broke what control Harry might still have had on his mounting anger. Does that make this a "good" action? Heck no. But I think it is an important scene to include for Harry's development. I can't believe I am actually defending Harry here but imo it's exactly part of his own moral journey that brings him from seeing things in a binary "black-and-white" way to actually realizing later that because people sometimes do "bad" things, it doesn't necessarily make them bad people. This. We have seen Harry not infrequently amazed at the bad behavior of other people, whether it is his father as a schoolyard bully, young Albus Dumbledore consorting with the handsome and charismatic young Gellert Grindelwald, or Snape doing...whatever. His thought process about such incidents has definitely included the idea that he would never do such a thing. But then we have this moment. This is not something we are shown him reflecting on later, yet I do think it is there precisely to show at least us the readers, that yes, Harry may be our hero, and really may be an admirable young man, but he too is capable of of doing bad things. Personally, even though Rowling does not provide us with the internal dialogue, I connect this scene with Harry's decision to give up the Elder Wand the following day. I believe he feels that it would increase his scope for this sort of thing, and he does not want to make this sort of mistake even easier for himself to make. Minerva is completely (and rather uncharacteristically) discombobulated by Harry's abrupt appearance; it comes at a moment that she is clearly beside herself with fear at the knowledge that Voldemort is coming for Harry. She is depicted exhibiting common physical symptoms of a panic attack - including pain in her chest, difficulty breathing, and faintness, and he manner of speech is hesitant, confused, and nothing like her usual. For this reason I don't consider it reasonable to hold it against her, and also don't find that the narrative presents her as an authority whose judgment in this moment we are supposed to accept. Harry mentioned to Dumbledore that the Elder Wand would cause him too much trouble and he already had enough trouble in his life. I like the fact that Harry put the wand back into Dumbledore's tomb. We think the Elder Wand's power was broken because Harry did not use the wand again. I think the power just laid dormant until someone else decided to steal the wand. And, to a certain extent, I think it is important for reasons that have almost nothing to do with what built up his anger. It might have been anything. What is more important than the circumstance, in my opinion, is that Harry has now lived long enough, and experienced enough, to have that depth of feeling. James Huneker famously said, of Chopin's Etude in A minor, Op. 25, No. 11, that "Small souled men, no matter how agile their fingers, should avoid it." I think the same applies to some of these spells. No matter how technically adept they are, one cannot successfully cast them until one has lived enough. And as arithmancer suggests, I think this scene shows Harry's soul has grown. It is not done growing yet, of course, but it is still enough for the job at hand. It is not really clearly set out in the novels how much one's will matters in casting spells. But it is evidently not just a matter of technical mastery; otherwise, Hermione should be best at everything. But perhaps she is just a bit too deliberate, a bit too level-headed, to channel her energies in certain spells. After growing up with bossy and arrogant Uncle Vernon, Harry must have lower tolerance for rude and arrogant men. Let's take a look at the situation. 1) He's just found out that Voldemort expected him to enter the Ravenclaw common room and set up a trap for just such an event. 2) Voldemort is presently on his way to Hogwarts, and time is of the essence. 3) The conscious Carrow sibling has just threatened to push onto innocent children the activation of the Dark Mark. 4) Said conscious Carrow has shown extreme disrespect to the one teacher that Harry knows beyond doubt he can still rely on. Harry has been running on emotion for pretty much the entirety of the seventh book, and he has also already used the Imperious Curse to great success by this point. Do I like the fact that he desired to make Amycus/Alecto (I forget which sibling it is) suffer for what they've done? No, but I can see myself doing the same thing in his situation. He's tired, he's sore, he's been awake since leaving Shell Cottage, and he very much wants to end things before too many innocent lives can be lost. It's remarkable that he's still thinking relatively logically at this point. When lives are at stake, there is no such thing as a fair fight. Last edited by Pokota; August 1st, 2012 at 3:45 pm. To understand a character's motivations, their actions must be explained - some reason must be presented or at least alluded to. With Harry, this was most often done through his thoughts - as the primary POV character, the reader was privy to what Harry was thinking the majority of the time so it is easier to analyze his character and understand his motivations. Except for this moment in the epilogue. This was not explained and Harry's thoughts about it are not presented. It was not consistent with what had been demonsrated for Harry's character prior to this. Many people - myself included - could not believe Jo would write that without any explanation as to why Harry would be so disrespectful and completely dismissive of all those people who were shown on page to be so courageous and genuinely cared about him. That's just not the kind of person Harry was presented as prior to the epilogue, IMO. I think that passage in the epilogue reflects negatively on Harry's character because it shows him to be duplicitous in dealing with his son - making a speech claiming it would be okay with him if his son was sorted into Slytherin and then making sure that his son will not get sorted into Slytherin by telling him how to get out of it - and then completely dismissing every single person who cared about him, fought by his side, and risked their lives by standing up to Voldemort and the Death Eaters and refusing to hand Harry over to him. That definitely needed to be explained on page, IMO. In HBP and early in DH, Harry openly criticized Scrimgeour to his face for less. It was disappointing to me that Jo demonstrated Harry had grown up to become the type of duplicitous politician he had so little respect for in his youth. If there was a plausible reason for Harry to do those things, it should have been presented on page, IMO. What I would expect Harry to do based on his previous characterization would be to move on with his life - forgive and not let what happened to him make him bitter, but not forget. I would expect him to be honest with his children. I would expect him to give credit where credit is due - to everyone. I would expect him to be unwilling and unable to single any one person out as "probably the bravest" because there were so many people he knew that were extremely brave and risked their lives to stop Voldemort. I'm not saying that Harry should not give credit to Snape for what he did do. However, Harry's thoughts about it should have been included to explain his motivation and that should not have been presented at the expense of what everyone else had done, IMO. I had not read this post ... I think the same way. I think that McGonagall's comment was meant to describe Harry's intent, not the use of the curse. That he would take such strong personal offense at Amycus's disrespect and act on it is, indeed, gallant. However you will note that McGonagall first tells Harry that his action was foolish, which seems to be a rebuke regarding the curse. I don't think your comment about Harry's feelings towards McGonagall is accurate. Throughout the series, it seems clear that Harry respects her and values her judgement, and thinks she's fair though strict. She also shows in a couple of instances where (for her) she's downright nurturing regarding Harry and I'm sure it didn't escape his notice. I don’t understand why Harry is so justified: he is tired, sore, he is awake when he left Shell Cottage, he is stressed out, Voldemort is coming, but... he is in these same conditions when Crabbe tries to kill Hermione. But Harry don’t really wants to cause pain to Bellatrix (Sirius’s killer). “She’s like my sister,” he went on. “I love her like a sister and I reckon she feels the same way about me” (Harry Potter and the Deathly Hallows – chapter 19 The Silver Doe). “It’s that Mudblood! Avada Kedavra!” Harry saw Hermione dive aside, and his fury that Crabbe had aimed to kill wiped all else from his mind. He shot a Stunning Spell at Crabbe, who lurched out of the way, knocking Malfoy’s wand out of his hand; it rolled out of sight beneath a mountain of broken furniture and bones.” (Harry Potter and the Deathly Hallows – chapter 31 The Battle of Hogwarts). But for a professor who is neither a mother figure, nor was killed or nearly killed, Harry uses with successfully the Cruciatus Curse, in that case Harry really want to cause pain ... he enjoys it. He needs to really meant it. It make sense? I think not. Last edited by Verena; August 12th, 2012 at 5:26 pm. It's not only for McGonagall that Harry used the Cruciatus curse on Amycus. It was also because he had heard from Neville how Amycus had mistreated and tortured 1st-year students, and Harry also heard him say he would blame the students when Voldemort showed up, so he (Amycus) would be safe even though some students would no doubt be killed. Amycus's insulting and spitting at McGonagall was simply the last straw for Harry. Yes, Harry was angry about what Amycus did to McGonagall, but it was not the whole reason he cursed Amycus. Judging by my own personal principles, I consider Harry's use of the Cruciatus 100% unjustifiable. However, I think it's more important to determine why Harry used it in the first place and why the scene makes sense to some readers and throws others off. I would agree with many of the reasons given for Harry's behavior: that he had been through a great deal of stress, that Amycus had threatened a lot of people, and that JKR wanted to introduce a bit of moral ambiguity into the mix. I believe it is realistic (if deeply wrongful) behavior. However, I do think Verena brings up an interesting point: under similar circumstances, why does Harry not use the curse on Crabbe? I don't have a firm answer to this, but I wonder if perhaps the fact that it was a full-on duel with people moving about might have something to do with it. When Harry used the Cruciatus, he had been sitting still for quite some time, which may have allowed his anger to boil over much more easily. When I first read the scene, it really shocked and upset me. I think this is the case for a lot of people. I can't speak for others, but for me, it seemed as though before this point, the series' morality worked differently: other characters could do seriously bad things, but Harry, while flawed and occasionally prone to unujst behavior, could not (being the Chosen One and chock full o' love). This was the first time I could recall of Harry doing something explicitly violent and prolonged, something with all the sort of terrible connotations and history that come with torture...and without regret. This was a general feeling I came away from the previous books with. I've since given this scene some thought, and while I can understand Harry's behavior, my (unanalytical ) feeling is that this was a big departure from Harry's usual character. And, if JKR really was meaning to add some darkness to his character, perhaps we're meant to feel that way. Last edited by ignisia; August 12th, 2012 at 7:03 pm. All times are GMT +1. The time now is 6:26 am.